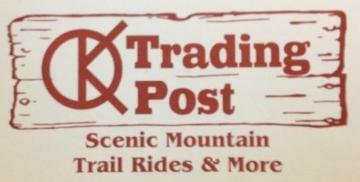 For over 26 years OK Trading Post has been providing fun horseback riding adventures in the Mountain View, AR area. One thing you can always expect with us is a good time. For birthday parties and more we offer party ponies for the little ones and a cookout! We have a petting zoo, gift shop and tack shop in addition to our trail rides! If you want a night under the stars, we do overnight camping trips too! Our goal is to give you a taste of the outdoors while having a wonderful time. If you have any questions please give us a call today (870) 585-2217.